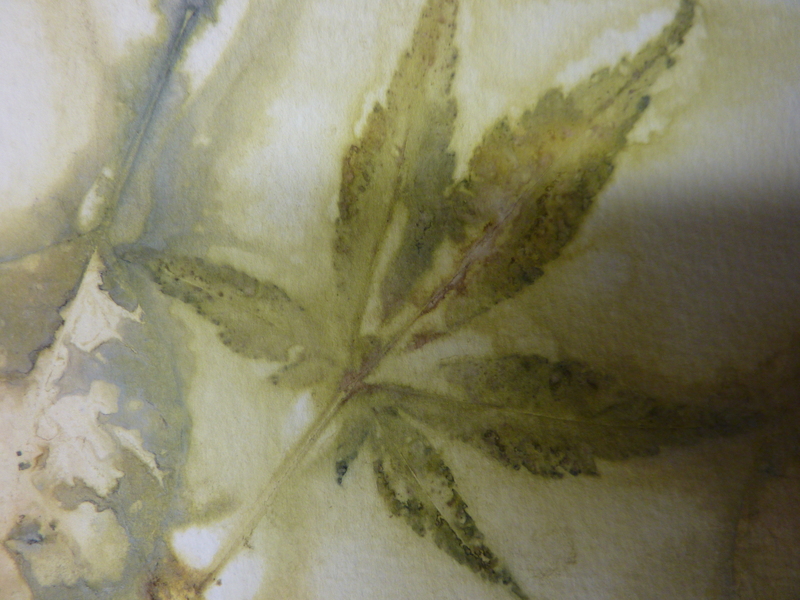 Japanese Maple: green version! 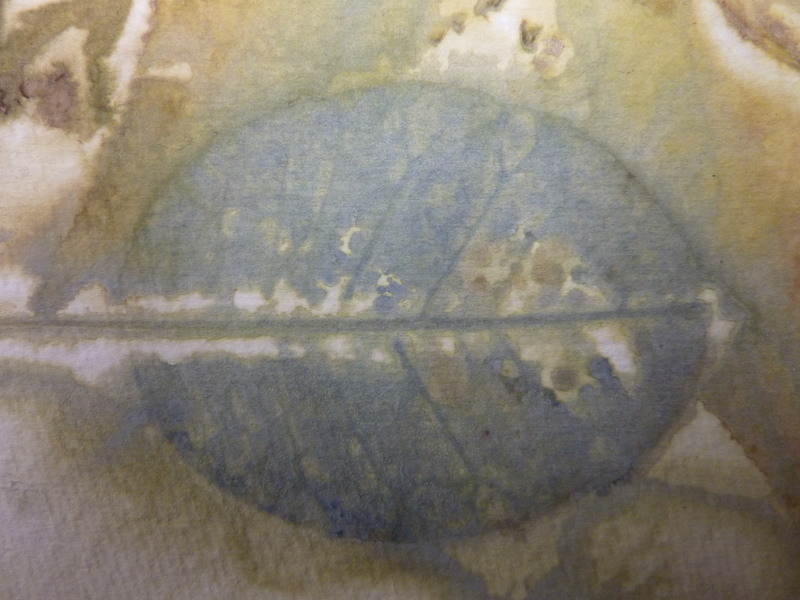 With a blue colour wash (left) from a Smokebush leaf. 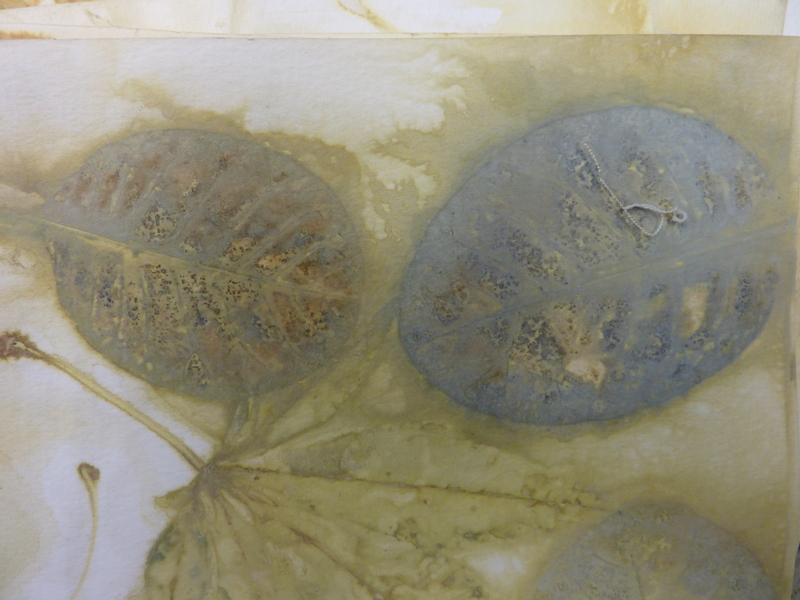 I prepared my watercolour paper by soaking it in 25% alum and water, then layering leaves, dried petals, tea , etc. between two sheets of paper and steaming a stack of them under weights (three bricks) for an hour or so in a big old turkey roaster, tightly covered. 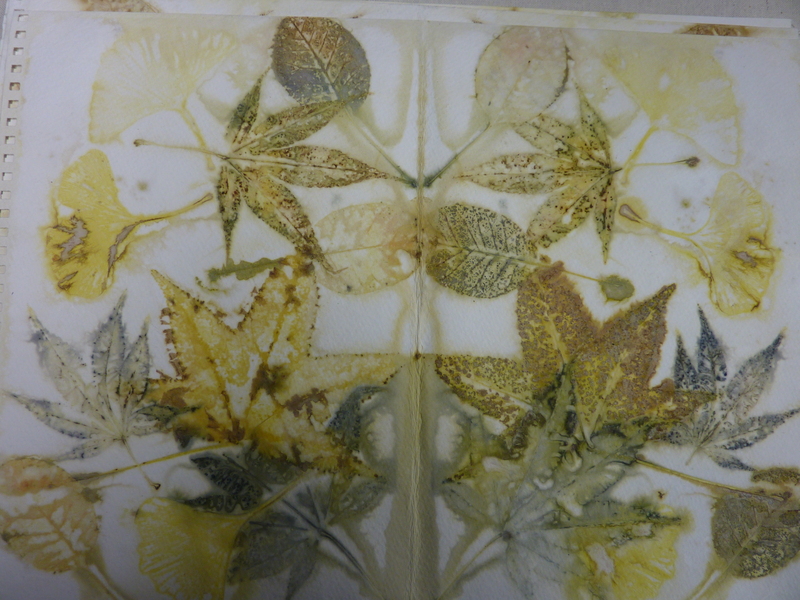 The eco prints came mostly from Japanese Maple (blues and greens), Sweet Gum (browns, yellows, ochres and sometimes yellow-green); Cotinus Coggygria (blues, oranges, greens, purples…); Chokecherry (dark greens and blues); Ginkgo (light yellows); Blackberry (dark greens and purple). 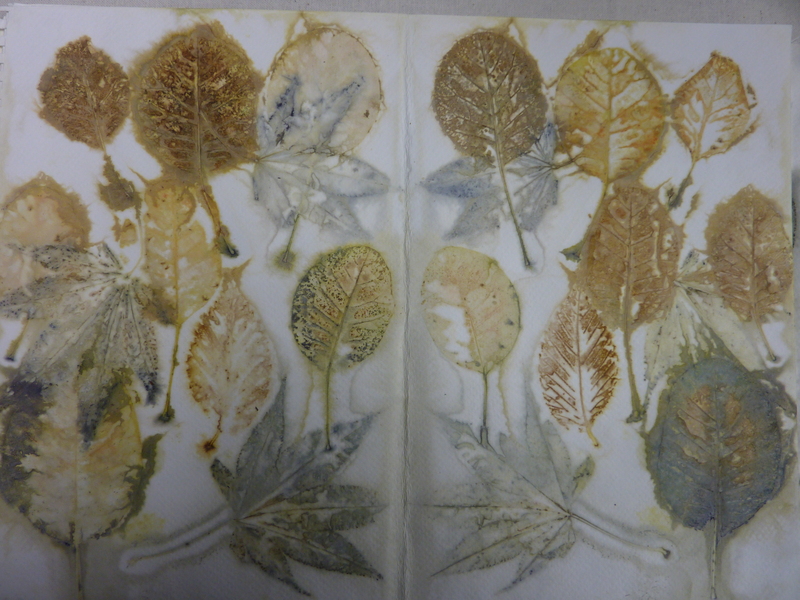 I love the way the dyes settle into he fold of the paper and create a new design linking the leaf shapes and textures. 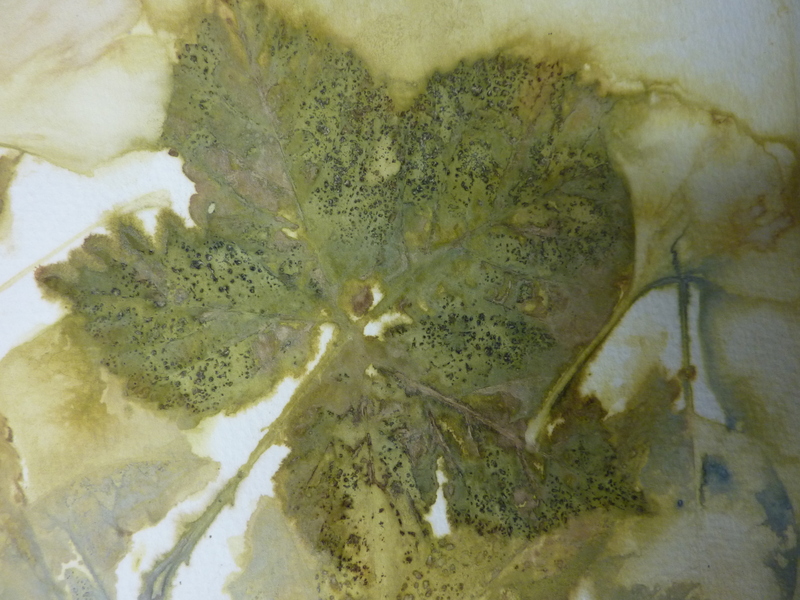 More Monet than Morris, my motto for eco prints. 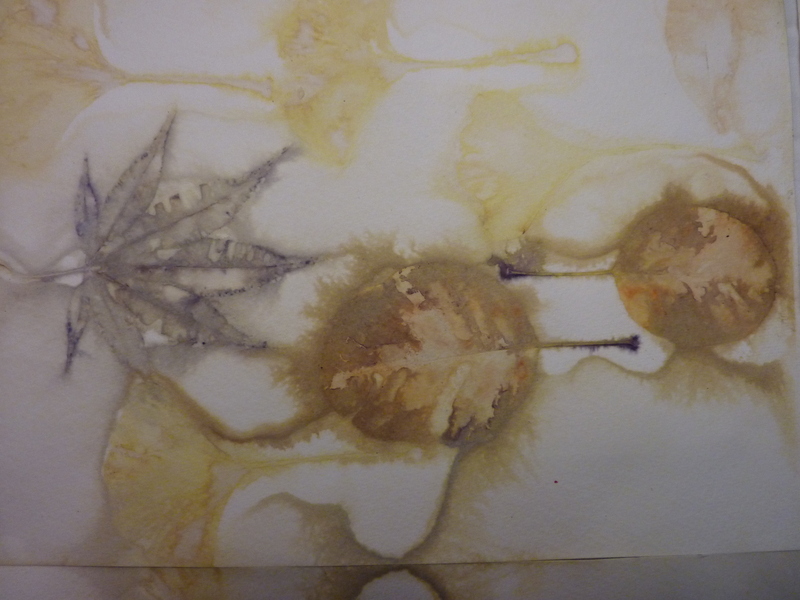 I used up whatever 140 lb watercolour paper I had in the studio, three different kinds, commonly available. 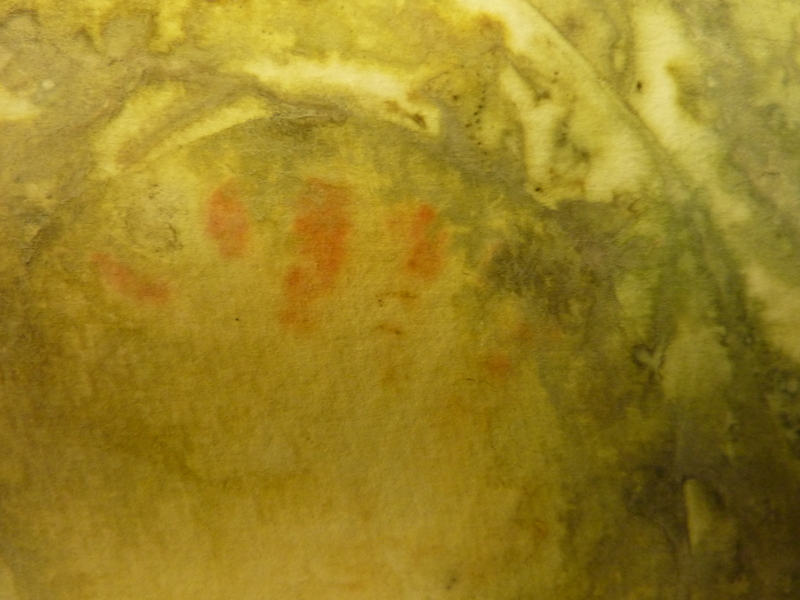 Can’t say I have noticed any big differences so far but Cassandra Tondro says that papers do affect the print outocome. More fun to come! 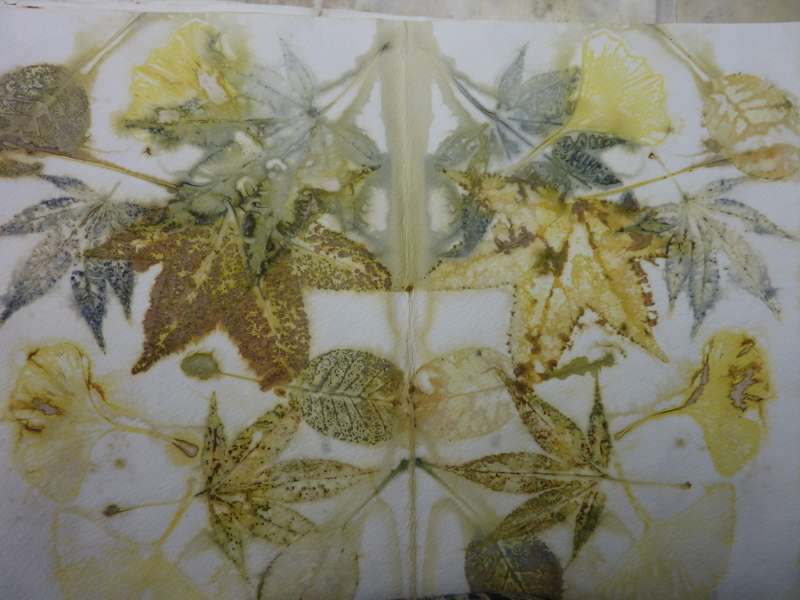 Next post: Some more leaf and dried petal prints and “kitchen” prints – cabbage, safflower and tea and the like but on fabrics. I have ordered some more silk and wool and that will be next, likely!